Harmonic announced the next evolution of its award-winning VOS offerings, addressing the need for increased agility, adaptability and state-of-the-art technology for OTT and IPTV deployments. 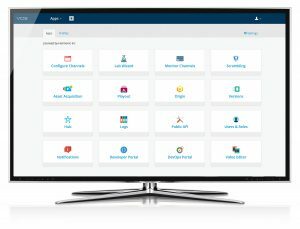 VOS SW Cluster is a comprehensive software application that embeds market-leading media processing, including ingest, playout, compression, encryption, packaging, and origin as well as support for both cloud and bare metal compute environments. Highly adaptive and responsive to user needs, the VOS SW Cluster solution can be used by video content and service providers of any size and on any platform for the origination and delivery of IPTV and OTT services. The VOS SW Cluster solution has already been successfully deployed by a leading telecommunications service provider in the Asia-Pacific region. “Being successful in today’s media environment is highly dependent upon how quickly you can adapt,” says Tim Warren, senior vice president and chief technology officer, video business, at Harmonic. As an infrastructure-independent media processing application, the VOS SW Cluster offering makes it easy for operators to switch between bare metal datacenter computing (e.g., off-the-shelf IT), public clouds (e.g., AWS, Microsoft Azure) and private clouds. Having an elastic and always up-to-date media workflow enables operators to launch services faster, scale seamlessly with operational efficiency and ensure consistent functionality across all deployment environments. With a simple intent-driven user interface, operators have more time to focus on service innovation and test new service offerings. The VOS SW Cluster application enables operators to keep pace with the latest OTT workflows, including live publishing to social media online platforms, streaming VOD from live and file sources, groundbreaking Ultra-HD OTT with HDR, and low-latency delivery via the CMAF specification. The VOS SW Cluster solution joins Harmonic’s groundbreaking VOS family, which helps video content and service providers succeed in the quickly evolving OTT market by leveraging the latest advancements in software and cloud technology. The VOS family also includes VOS 360 media processing SaaS, which utilizes the VOS SW Cluster solution, and VOS Engine, an advanced container-based software module. The VOS 360 offering is part of a growing line of SaaS offerings hosted, maintained and monitored by Harmonic that deliver the company’s market-leading media processing and delivery technologies as a service.